It’s that time of the month where your three best friends from Seattle are BACCCCK! 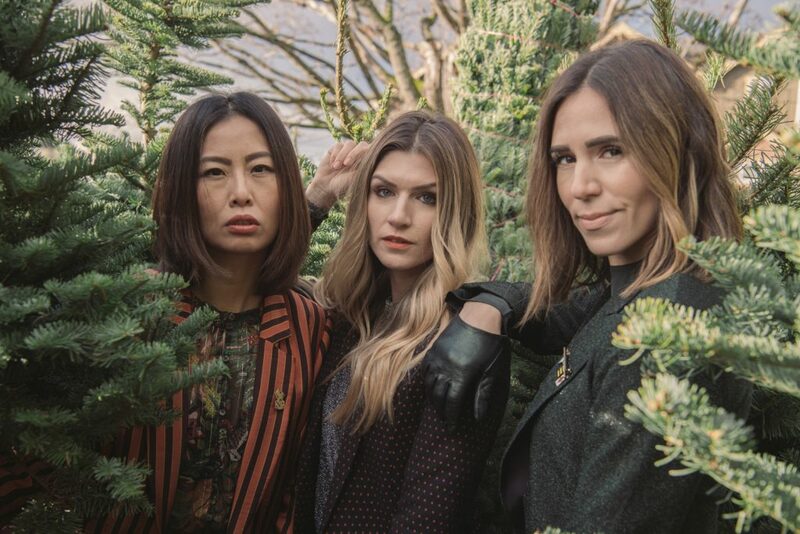 That STYLELOGUE is back this month with three killer, and festive, holiday suits from Scotch and Soda! 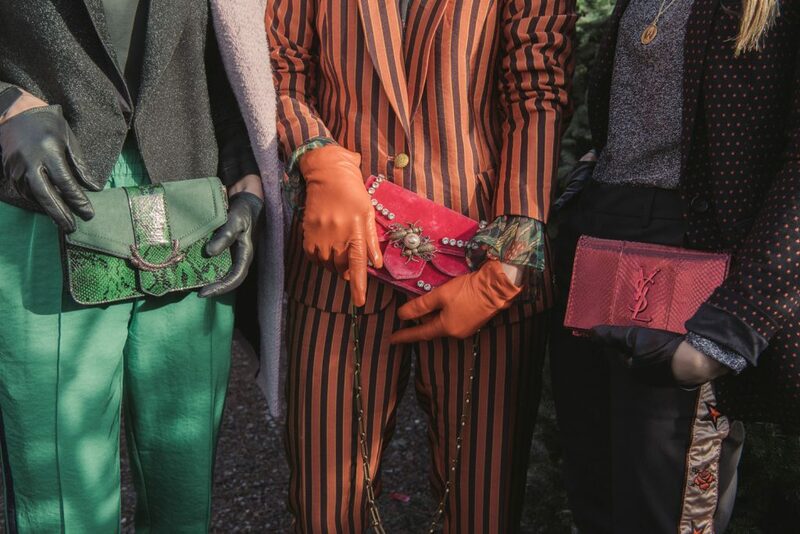 In our second STYLELOGUE edition we are sharing three ways to style unconventional holiday colors in the form of festive suits! Scroll down to read more on how Cortney (The Grey Edit) and Elisa (E for Elisa) styled their looks this month! If you are new to THE STYLEOGUE, it’s a monthly series we conceptualized that brings fashion to our readers from three vantage points. Together we will blend and share how we would style our favorite trends each month to inspire you to do the same. This month we are featuring one of our favorite trend for the holiday season – festive suits! Festive suits are a fun twist on holiday fashion that can be versatile throughout the entire season! To read our November issue on chunky sweaters, CLICK HERE. Elisa is channeling all the Gucci vibes with this persimmon and burgundy stripped pant suit. We often take the literal sense of holiday and think red and green – styling unconventional holiday colors this season is just what the doctor ordered! Colors like purple, silver and brown hues are making a big moves this holiday season! I also LOVE how Elisa layered this suit over the most gorgeous sheer floral blouse for the chicest pattern play I’ve seen this season! I’m also DROOLING over her luxe accessories! I love how Cortney stayed trued to her monochromatic style with hints of color in this blazer, track pant combo! ‘Tis the season for layering and she NAILED it with this silver sweater, star dot blazer and plaid coat combo!! This look can easily transition from work to a work party for the holiday season. To contrast the monochromatic vibes of the suit, she styled this YSL bag for a pop of color – heaven! Cropped Blazer // Green is such an underrated color for the holiday season – reds seem to overpower greens and be the first color people gravitate towards. This green cropped blazer is changing the game in holiday festive wear! It’s a great layering piece for your holiday look (see how Scotch and Soda styled it here). I layered this purple Scotch and Soda Wool Coat over the blazer for some color contrasting! Silk Blouse (similar) // There is something so luxurious about silk at any price point – it feels like a butter cream on your skin! This silk blouse, not available on their site just yet, is the perfect holiday layering piece for work and play! Track Pants (here) // Staying true to my sporty nature, I was immediately drawn to these velvet striped track pants. I’m all for pieces with versatility – try styling them with a denim jacket and sneakers for the weekend! The length is great for styling with heels or flats! Rockstud Pumps // If you are looking for a good investment shoe this holiday season, the Valentino Rockstud Pump has you covered! These babies have a lot of miles on them and have never failed me. Styling them with denim and tee is by far my favorite pairing! Snakeskin Mini Bag // Emerald has been my favorite color this past year – so much so that we have two emerald couches in our house! When I spotted this bag from Topshop, it gave me all the Gucci feels, but at an under $50 price! It’s also a great gift this holiday season. See all the available colors here. Thank you to Scotch and Soda in Capital Hill for your partnership – all thoughts are my own!